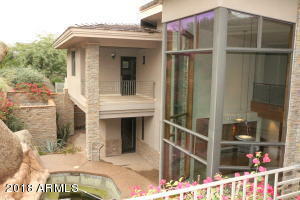 Very unique home backing a hillside in the renown Estancia Golf Club. 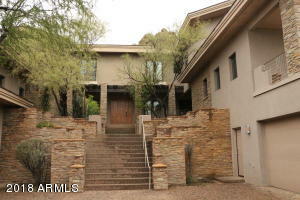 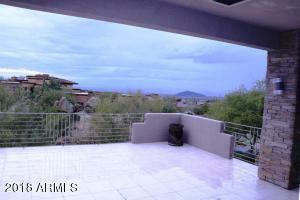 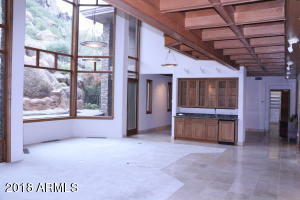 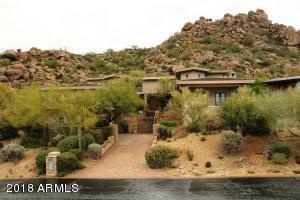 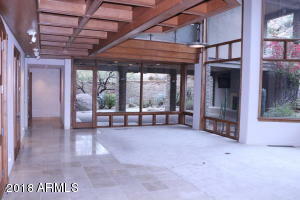 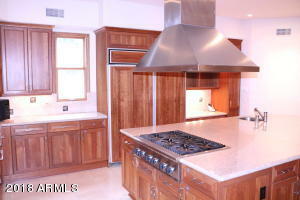 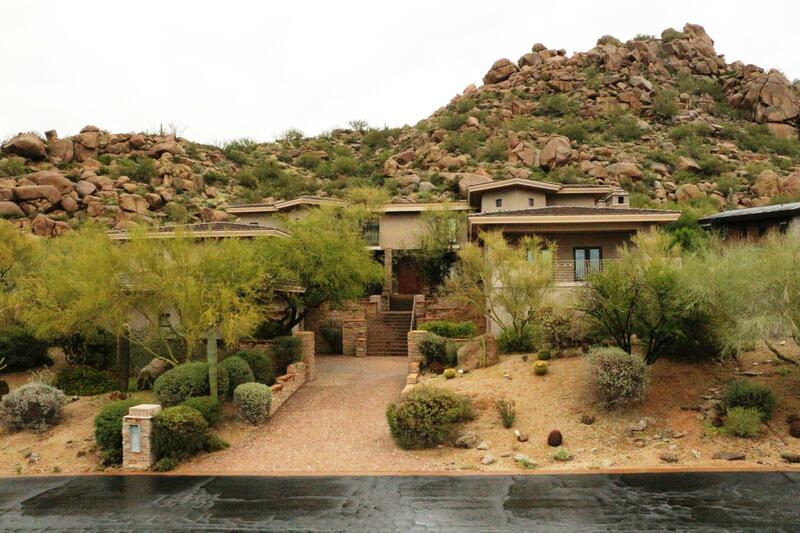 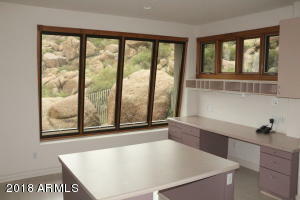 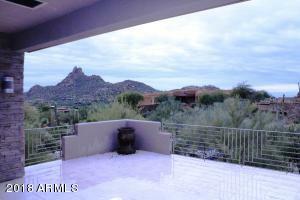 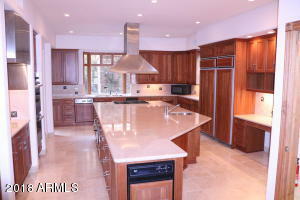 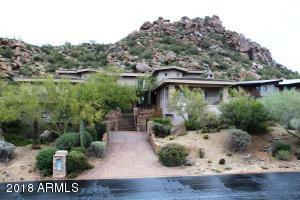 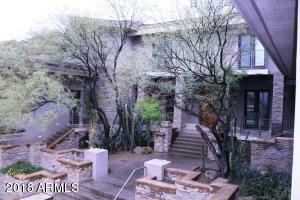 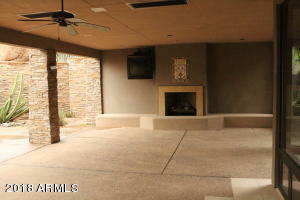 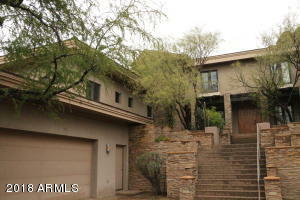 This home is situated on a very elevated lot with fabulous views of the valley and Pinnacle Peak. 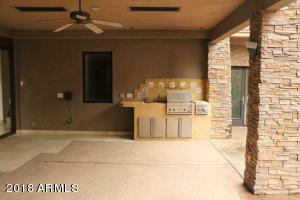 Boasting a lot of outdoor entertaining area as well as open interior floor plan, this home has a master suite that is unprecedented! 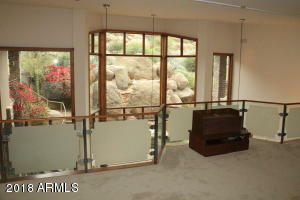 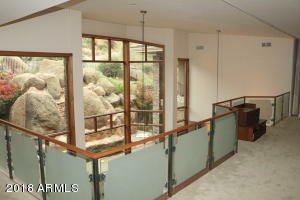 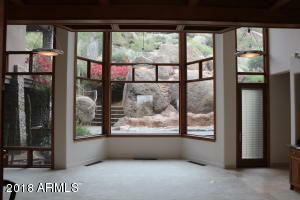 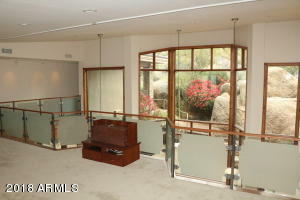 The living area has 20' glass walls to view the mountain in the back yard. 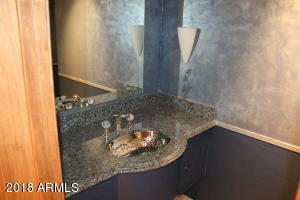 Interior features are abundant also. 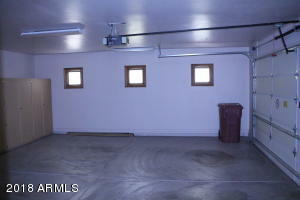 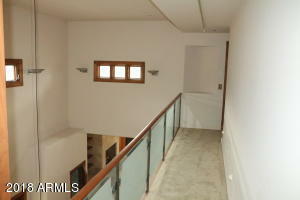 There is an elevator from garage level to both the upper floors. 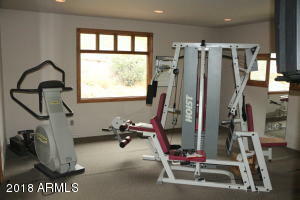 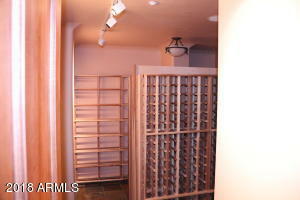 Workout facility and wine room. 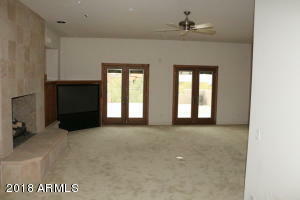 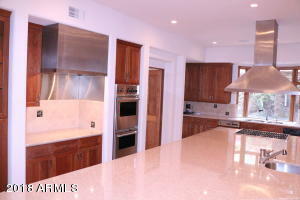 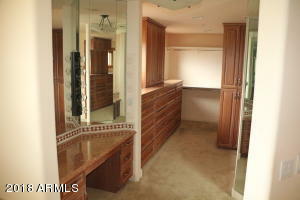 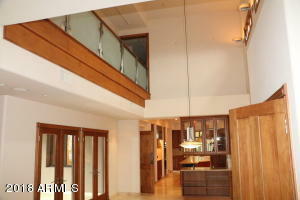 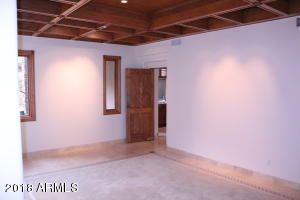 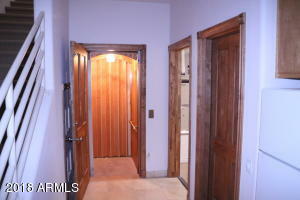 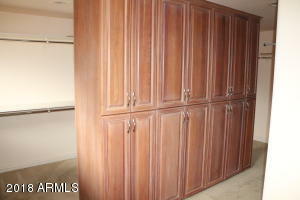 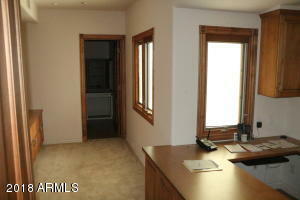 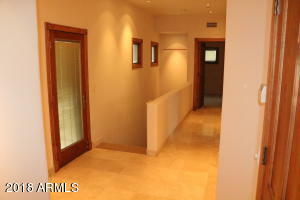 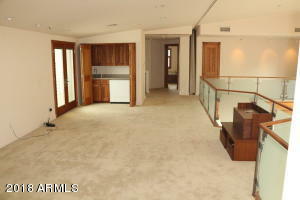 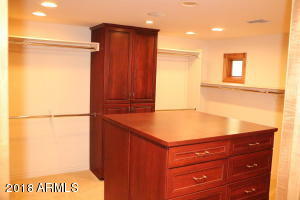 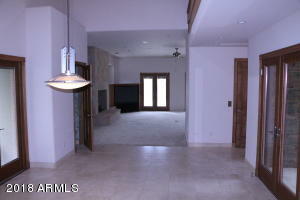 Master Suite that encompasses the entire upper level has his and her bathrooms, spacious closets and offices! 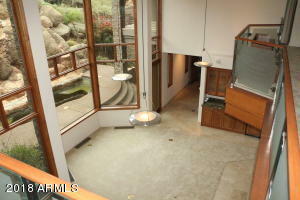 This home is really a livable work of art that has to be seen to be believed! 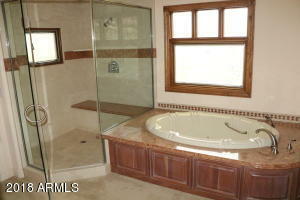 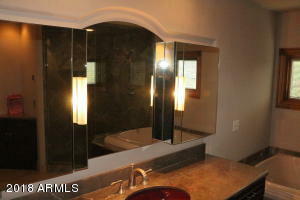 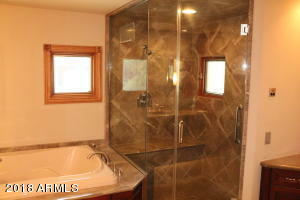 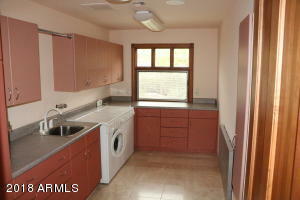 Home has 5 Full Baths & 2 - 1/2 Baths. 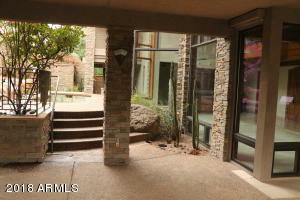 East on Dynamite to Estancia Gatehouse, about 1 mile, once through gate east on Running Deer Trail to 103rd Place, South to home.